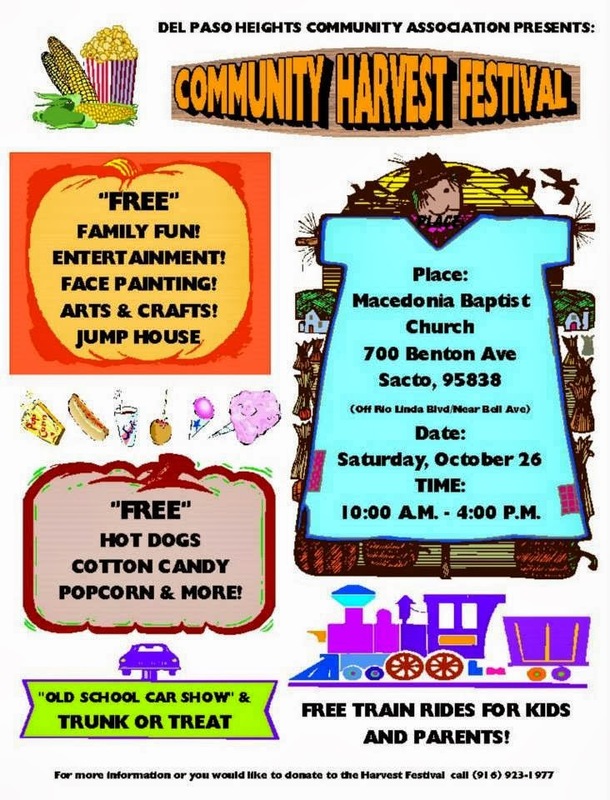 The Del Paso Heights Community Association will host its Community Harvest Festival this Saturday, October 26 from 10 a.m. to 4 p.m. at Macedonia Baptist Church. The free event features family fun, entertainment, face painting, arts & crafts, a jump house, free train rides for kids and parents, and an “old school car show” & trunk or treat. Free hot dogs, cotton candy, and popcorn will also be on hand. For more information, call 916-923-1977. 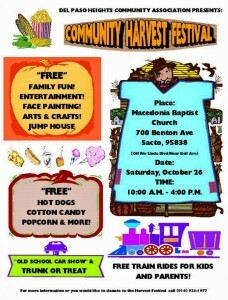 October 23, 2013 in Del Paso Heights, Del Paso Heights Community Association, Event, Fun, Halloween.